Once a recreation and entertainment destination, Summit Lake Park has become a vastly underutilized natural asset in recent decades. With the environmental state of the lake unknown and the underserved surrounding neighborhood, many residents avoid the area altogether. To better understand the many unknowns of Summit Lake and help change perceptions of the area, The Trust for Public Land, along with partners Knight Foundation and Ohio and Erie Canalway Coalition, are teaming up to engage the community in a Creative Placemaking process to think about the future transformation of the park and assess the current environmental condition. 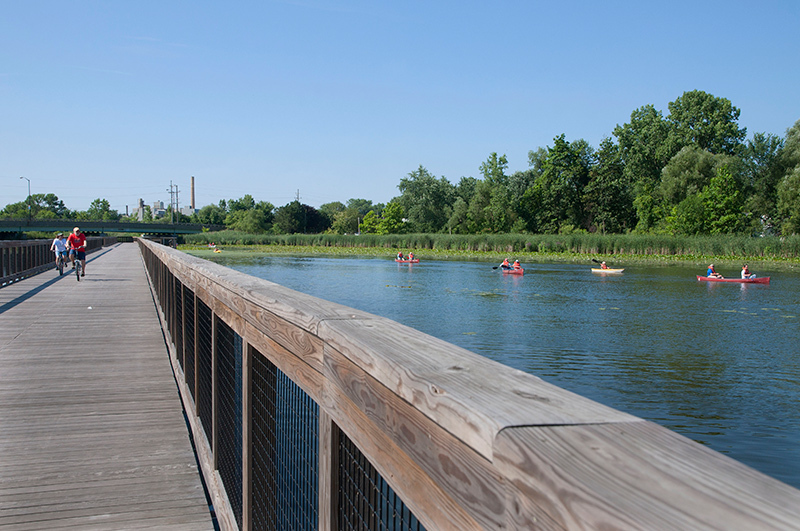 Summit Lake Park is a critical element of Akron’s Reimagining the Civic Commons efforts to better connect civic assets and foster social inclusion for people of all backgrounds. Helping residents rediscover Summit Lake Park as a regional recreation destination and improve its ecological conditions will catalyze reinvestment and economic development in the surrounding area.